Hubert Clavelin and his two sons have vineyards in the Côte du Jura, a small range of mountains about 30 miles to the east of the Côte D’Or in the province of the Franche-Comté. Within their holding they have a parcel of very high limestone soil that they have planted in Chardonnay and from this parcel they make their sparkling wine, Brut Comte. Their method is the same as champagne; the wine is fermented in the bottle and each bottle is hand-riddled. 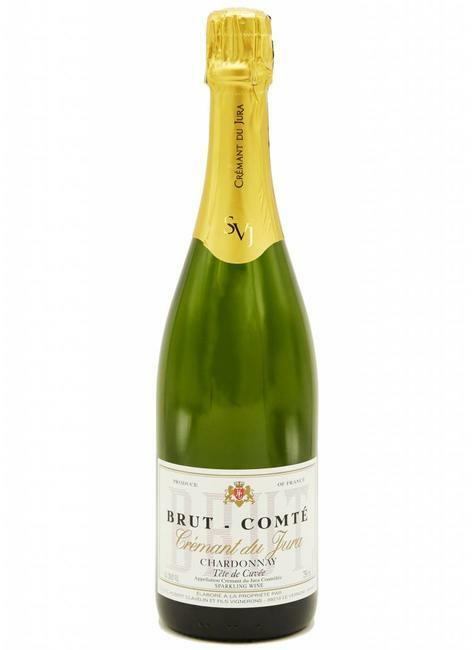 The care that they take is shown in the very fine quality of the Brut Comte – tasting more like a lesser, true champagne than a sparkling wine from Burgundy.